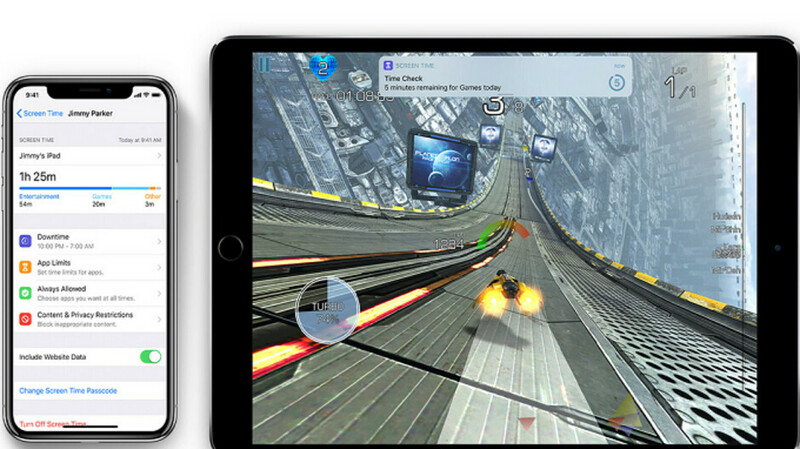 Just the other day, we passed along the word that code found in the recently released developer beta of iOS 12.2 revealed that Apple will launch an iPad mini 5, a new iPad and an iPod Touch seventh generation. Now, a Twitter user has discovered (via 9to5Mac), that the iOS 12.2 beta also comes with a new customized feature for Screen Time. The latter debuted on iOS 12, and allows iPhone users to monitor their smartphone usage and set limits for themselves and their kids. Downtime on Screen Time allows iPhone users to limit the apps available to them during a specific time. It also allows only calls from specified numbers to go through. The schedule, once set, stays the same for the entire week, unless it is changed. That could be inconvenient for someone who would prefer to have different Downtime settings depending on the day of the week. On the iOS 12.2 developer beta, Screen Time users can do this. With this new feature, Downtime could be set to allow calls from the boss to be blocked over the weekend. At the same time, users can decide which apps they want to block access to depending on what day it is. To set a customized schedule, those with the iOS 12.2 beta should go to Settings > Screen Time > Downtime. If Apple does decide to keep the new customized scheduling for Downtime, it will probably rollout with the iOS 12.2 update. Considering that the company just disseminated the first beta for the build, there still is plenty of time left before this happens. I think this will be great for parents to micromanage their kids usage. Couldn’t see a grown person limiting themselves though. Great job Apple, continuing innovation where it matters, and keeping ios the best mobile os. Not a bad feature at all, and could be quite useful. Quite useful feature, after couple weeks of use and there two flaw i found are 1. The dawn thing only block your kids with 4 digits passcode which very easy to guess and no FingerScan for convenience 2. The minimum limit is 1 mins and 60s is a lot time for 8 years old kids go into app store and instead few app....... and carry on hours. Actually the screen time feature need a lot more work. You should be able to restrict child's screen time during a designated homework time, during school classes (and allow it in the breaks between classes), so multiple schedules in one day should be implemented. This is the reason why I still rely on a third party product which does exactly what is needed. A child should not have a smartphone at all during school time. You can get a watch or a feature phone for emergencies but that’s it. The biggest problem they have with screen time is that Apple underestimates just how smart kids are when it comes to tech. When it was first released there were reports of how kids as young as 7 had figured out workarounds in less than 10 minutes. C’mon, dude, stop believing dumb stories, there is no “workaround” in iOS (unless there’s a bug from time to time that usually gets fixed). A kid could not go around guided access and can not get around app limits. Thats why I’m an apple user, only devices that are supported for at least 5 years.